Carrier or leash for each animal. Caregivers of multiple cats or other small animals can use an EvacSak, which is easy to store and use for transport. Physical structures, like walls, fences and barns may be destroyed during a disaster. Have a plan for keeping your animal safely confined. You may need a tie-out, crate or kennel. Often, when animals are evacuated to unfamiliar locations, their stress and fear can lead to illness injury. Read more tips for ensuring your pets’ safety during an evacuation. Your animals will appreciate your calm presence and soft, comforting voice if they are stressed following a disaster or while evacuated, and you may find it comforting to spend time with them, too. Some animals, especially cats, may be too scared to be comforted. Interact with them on their terms. Some animals may find toys, especially long-lasting chew toys, comforting. When animals become lost during a disaster, they often end up at a local shelter. Keep handy the locations and phone numbers of the shelters in your area. 10. Get children involved in disaster preparedness plans. The book Ready or Not, Here it Comes! 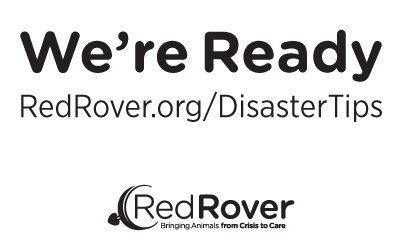 by RedRover Responders Team Leader, Howard Edelstein, discusses how to prepare for all types of disasters to safeguard families and the animals in their care. Post the “We’re Ready” sign on your Facebook page to show everyone that you and your pet(s) are evacuation-ready. A natural disaster or an emergency can take place when you least expect it. In moments of panic or chaos, you may not have enough time or foresight to evacuate pets with their daily essentials. Planning ahead for pets will save you valuable time—and keep your pets safe. Storing an accessible “grab and go” bag for pets and having a well thought-out exit strategy will have you prepared for the worst. Check out our infographic below for quick tips on preparing yourself—and your pets—for a disaster plan. 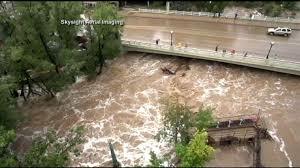 Some helicopters rescuing people after massive flooding in Colorado carried more dogs, cats and fish than people. Rescuers using zip lines to evacuate people over raging rivers also risked their lives to make sure the four-legged members of families were safe. It appears to be working. One week after floods and mudslides forced the local evacuation of more than 3,000 people, Pederson said the Boulder area shelter had just 72 pet evacuees – all but two of which were delivered by their owners for temporary shelter after they were forced from their homes. A detection dog-training center opens Tuesday, on the anniversary of Sept. 11, at the University of Pennsylvania so scientists can train dogs for search-and-rescue missions — and study what helps them succeed. Cynthia Otto, who served on a team that used working dogs to search for survivors in the rubble at ground zero, created the Penn Vet Working Dog Center. She’s a veterinarian who specializes in emergency, critical care and disaster medicine, and she has consulted with the military about the health of search-and-rescue dogs, including Cairo, the dog who worked on the Osama bin Laden mission. She tells Fresh Air’s Terry Gross that detection dogs are invaluable. Annemarie DeAngelo, the center’s training director, founded the New Jersey State Police Canine Unit and has worked with canines for more than 13 years. With her dog partners, she has searched for missing children, criminals and drugs — one drug seizure involved 1,200 kilos of cocaine. Penn CurrentCynthia Otto, a veterinarian who tended to the health needs of working dogs at ground zero, created the Penn Vet Working Dog Center. Sarah GriffithAnnemarie DeAngelo, the center’s training director, founded the New Jersey State Police Canine Unit and has worked with canines for more than 13 years. National Disaster Preparedness Month encourages the public to work together to take concrete actions towards emergency preparedness. This is a perfect time to prepare as California has been experiencing wildfires and earthquakes recently. Are Your Prepared for Your Pets in a Disaster? 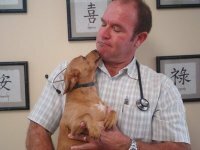 AHF Board of Trustees member, Veterinarian Dr. Dirk Yelinek is a well-known disaster preparedness expert. 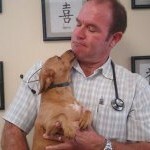 Go to our website and download his primer on “Disaster Preparedness for the Pet Owner”.